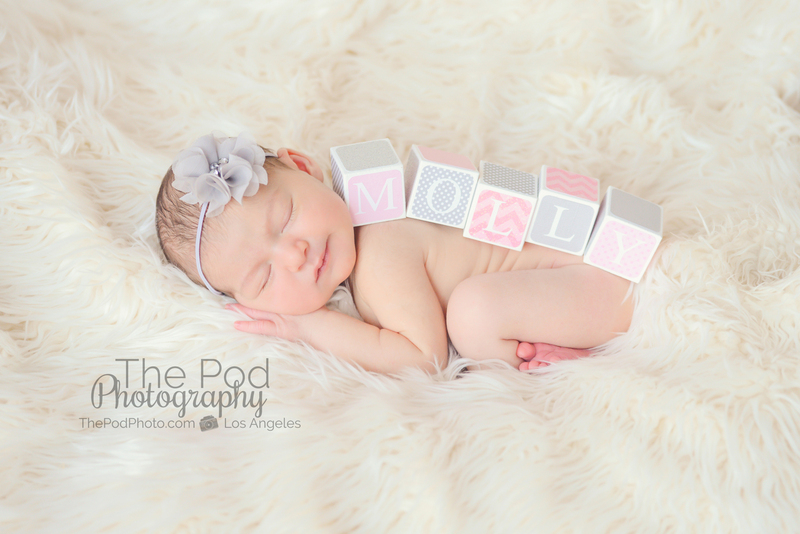 Calabasas Newborn Photographer | Sweet Baby Molly - Los Angeles based photo studio, The Pod Photography, specializing in maternity, newborn, baby, first birthday cake smash and family pictures. Pink, pink, pink was the theme of this baby girl’s newborn photo session! 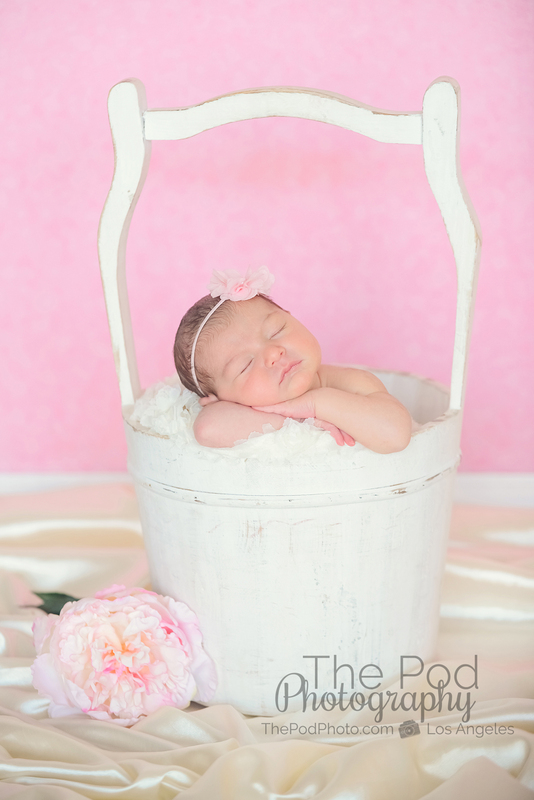 Her mom wanted to her baby’s pictures to be sweet and girly, and so that was exactly what we planned for the day of the photography shoot at our photo studio. 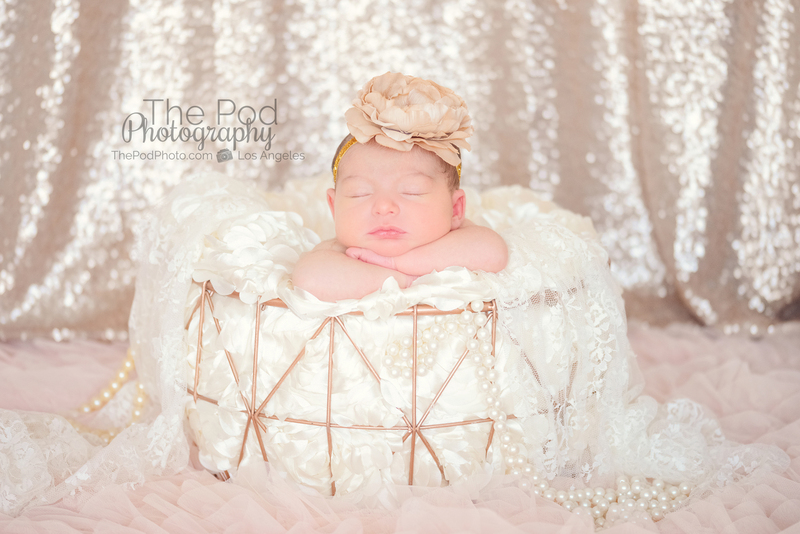 Baby Molly was under a week old for her pictures, which is the perfect timing for those cute, sleepy, snuggled-into-a-basket, photos. 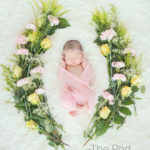 This newborn age is also perfect for those awesome flower wreath pictures – and we purchased all of the flowers for this baby girl’s shot and designed the wreath ourselves. 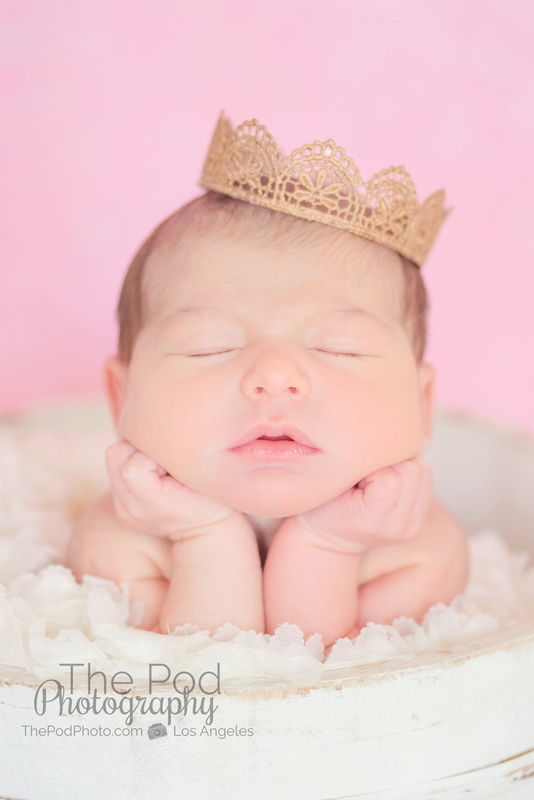 “Despite the fact that wedding flower crowns are hugely popular today, they’re really not a new idea. 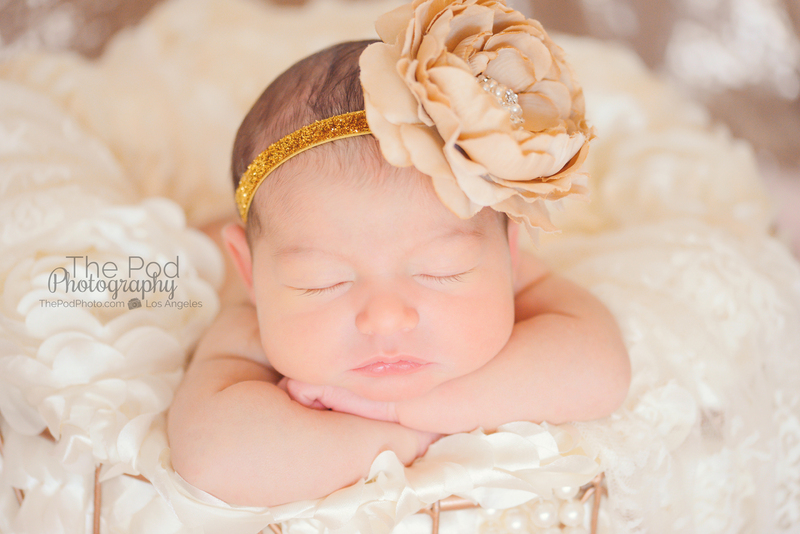 The fresh flower halo has been a popular accessory all over the world for centuries. And it’s steeped in tradition and meaning. To get the full scoop on the flower crown, you have to go all the way back to ancient Greece. Let the history lesson begin. Flower crowns were common in ancient Greece; it was especially popular to wear them at special occasions to honor the gods. Going along with that idea, during the same era, the laurel leaf wreath came into fashion as well (think: Julius Caesar). These laurel halos would be awarded to army victors to honor achievements and signify respect. 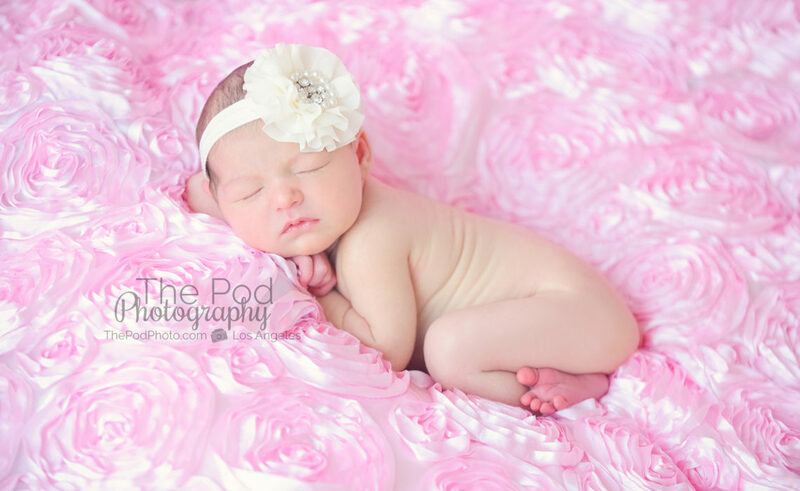 During this period, flower crowns actually fell out of fashion. The reason? Many pagan religions that used flower crowns in religious ceremonies and to adorn statues of their gods were condemned for their associations to blasphemy. In other words, it wasn’t safe! Flower crowns (known as a vinok) are a part of the traditional folk dress in the Ukraine. Oftentimes, girls of a marriageable age would wear them. During the Ukrainian wedding ceremony, wreaths made out of periwinkle and myrtle are placed on top of the couple’s heads after the vow exchange. Today, traditional Ukrainian flower crowns are more often seen at festivals and special occasions, including weddings. In China, the orange blossom flower crown was customarily worn during a wedding. 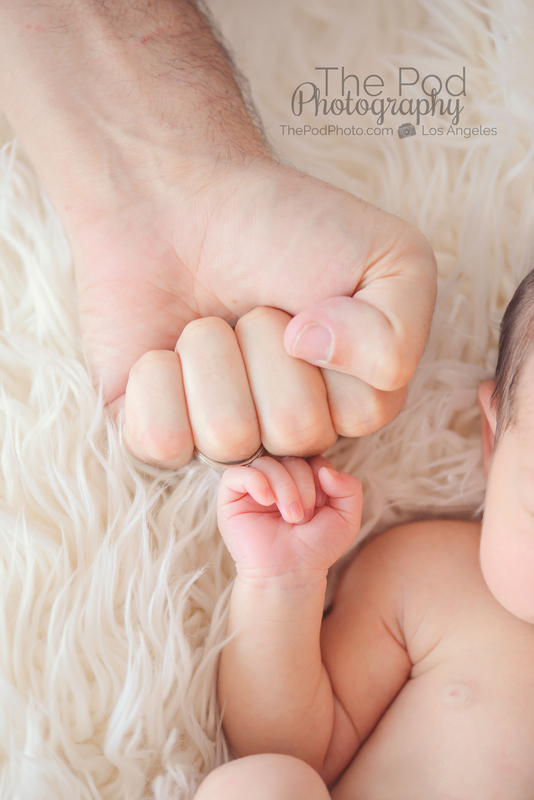 Since orange trees blossom and bear fruit at the same time, they’re meant to symbolize fertility and were thought to bring children to a marriage. The late 1960s are practically synonymous with hippie culture—and flower crowns became a fashion accessory mainstay associated with peace and love, all ideals of the movement. Though the hippie style was a subculture of the time, it influenced mainstream fashion, thus bringing flower crowns back into style at weddings. 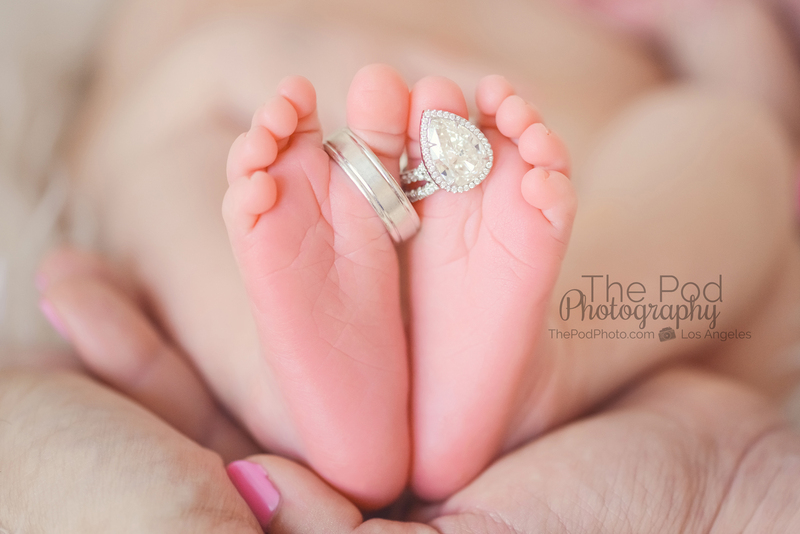 Our photography studio specializing in newborn, baby and family photograph services the Calabasas area. 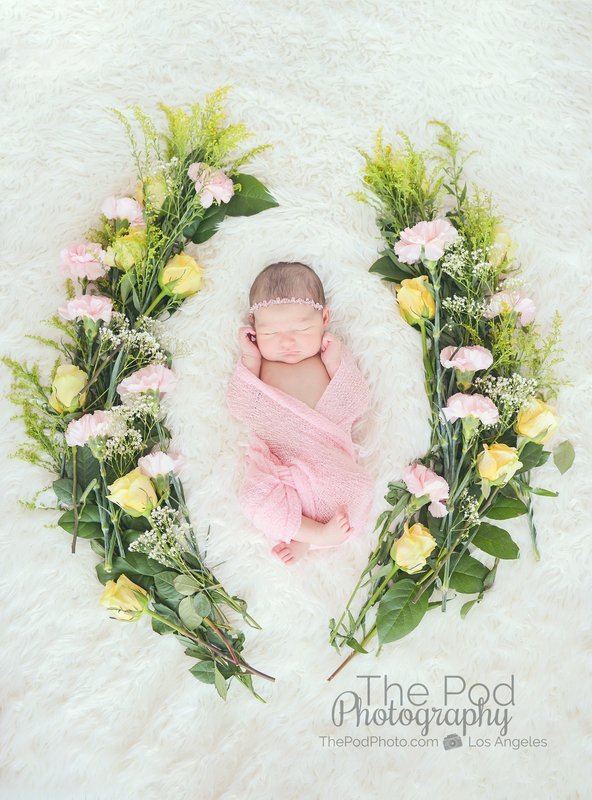 We would love to talk to you about your family’s pictures: check out our website www.ThePodPhoto.com and give us a call at 310-391-4500! 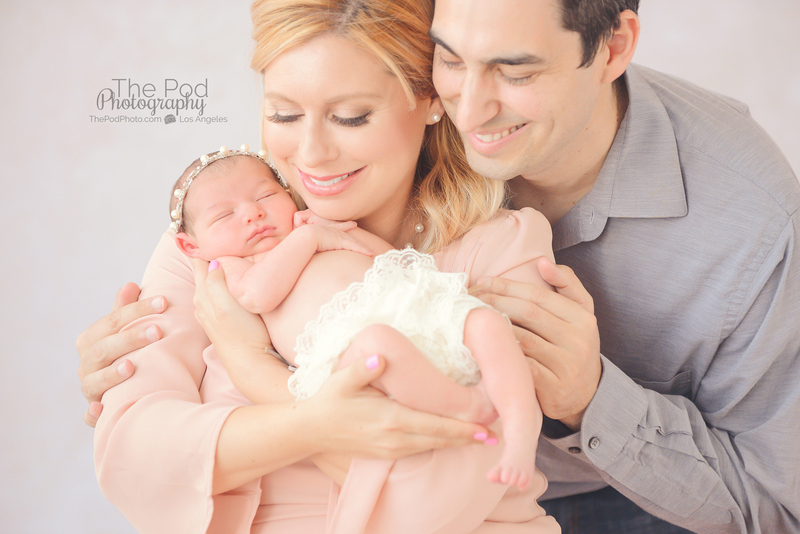 Six Month Portrait Session Los Angeles | Baby Chef Inspired By Anne Geddes!